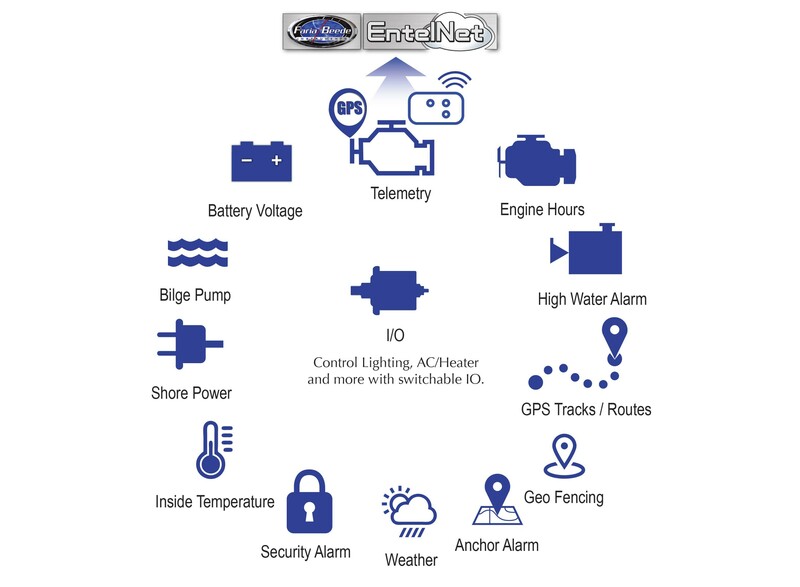 Measures only 9" x 4.625" x 1.5"
FB-Sentry and the WD500 is a complete tracking and remote monitoring package for your boat. FB-Sentry allows you to view all of your boat’s vital systems and critical engine data directly in the palm of your hand. Who watches your boat when you are not there? FB-Sentry is a low cost boat monitoring system that won’t cost you lots of money but will give you great peace of mind. 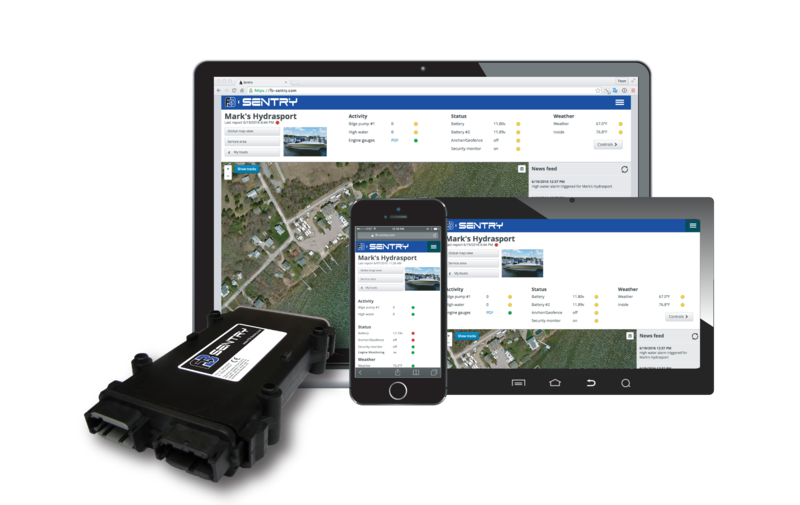 With the FB-Sentry installed boat owners can connect directly to their boat from any smart phones or internet connected device. FB-Sentry is a free web app that can be accessed anywhere there is internet connectivity. When you are away from Cellular service the system can store up to 20,000 reports and downloads when back in range. Reports position every 7 minutes when in motion with comprehensive GPS Tracking and Routes. 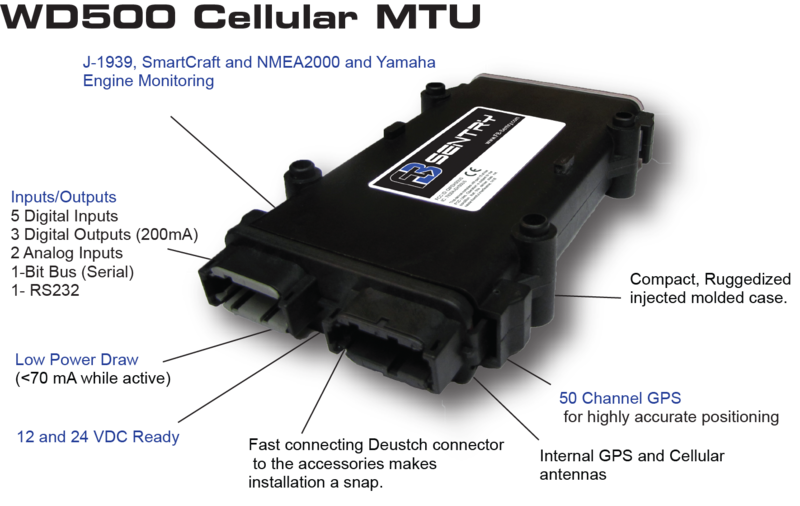 The module (WD500) is a ruggedize, feature-rich and cost effective web-based GPS/Cellular Boat Tracking and Monitoring System. Combined with the monitoring web app you are never out of touch with your boat. From the web app the boat owner can monitor their boat’s vital systems in real time, set up alerts for unusual activity and even control desired functions like lighting, refrigeration, or air conditioning. All of this for just a small monthly monitoring fee. Information transmitted on World Wide Cellular Networks. Know exactly where your fleet is 24/7. Monitor key data and send exception alerts. Engine diagnostics reported, warning of potential breakdowns. Protect cargo, vessels and personnel. 1956 – 2019 © Faria Beede Instruments, Inc.